His work with veteran producer and fellow Canadian Gremlinz led to remix work on Bad Concept Records and New World Ordio and a release on DSCi4's 'Amen Warfare' LP. This was swiftly followed by more local attention as another of Canada’s biggest exports, John Rolodex, took notice of Rene’s talent and recruited the budding newcomer as a key member and intricate part of his Machinist Music imprint. 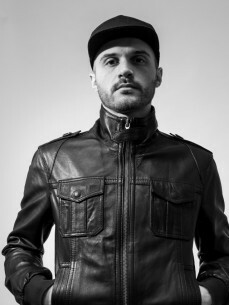 As the buzz and hype about this exciting producer began to grow, tastemaker DJs began to regularly support Rene LaVice’s tracks in their sets. From DJ Marky and Sub Focus to Total Science, A Sides, Sigma and TC, the 175bpm elite began to push LaVice’s music and none so hard as Ram Records boss Andy C.